From secluded cascades softly tumbling over ledges of stone to the tremendous roar of a cataract crashing through the morning mist along an otherwise quiet trail, Alger County is blessed with a tremendous assortment of waterfalls. There are so many, an attentive traveler entering this fair countryside of legendary rocks and waters might be able to hear water gurgling over the sandstone shelves as soon as he or she crosses the county line. 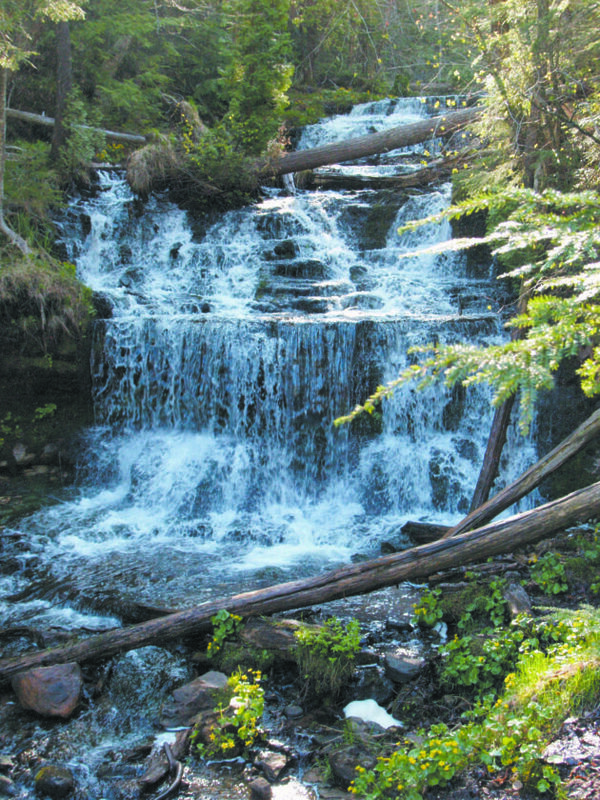 Among these beautiful woodland places to visit, the Michigan Department of Natural Resources manages the Laughing Whitefish Falls Scenic Site, located north of Sundell, and Wagner Falls, situated just south of Munising. 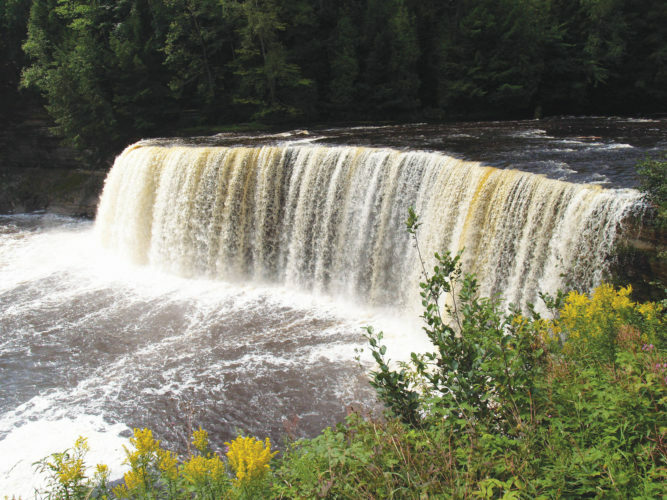 The Laughing Whitefish River drops 100 feet in bridal-veil fashion at the falls here on its way north to Lake Superior – one of the tallest waterfalls in the region. The scenic site here was established in 1965 with a donation of 100 acres, including the waterfall, from the Celotex Corporation. Additional land was acquired through purchases and exchanges, bringing the total acreage to nearly 1,000. In 1976, 360 acres within the site were designated a state natural area by the Michigan Legislature. 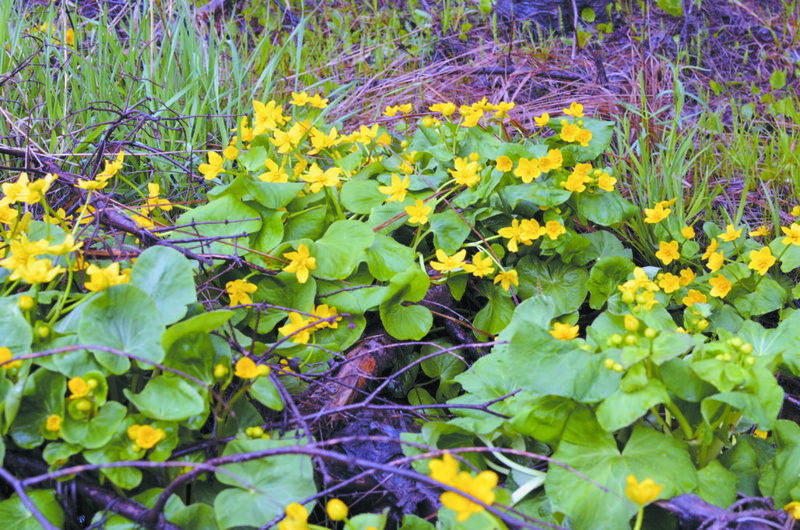 The designation permanently protects the gorge’s sandstone walls, diversity of forest plants and ancient forests. Farther east, Wagner Falls is a picturesque waterfall that has essentially changed little of the years. Wagner Creek is a pretty cascade that flows over sandstone from the Chapel Rock member of the Munising Formation. Just downstream, the creek flows into the Anna River and, not far away, into Lake Superior at Munising Bay. In 1895, Clotilda Wagner took out a homestead on 40 acres at the site. The waterfall then was known as Silver Falls. Today, the 22-acre site is managed by the Michigan DNR and was also designated a natural area in 1976. 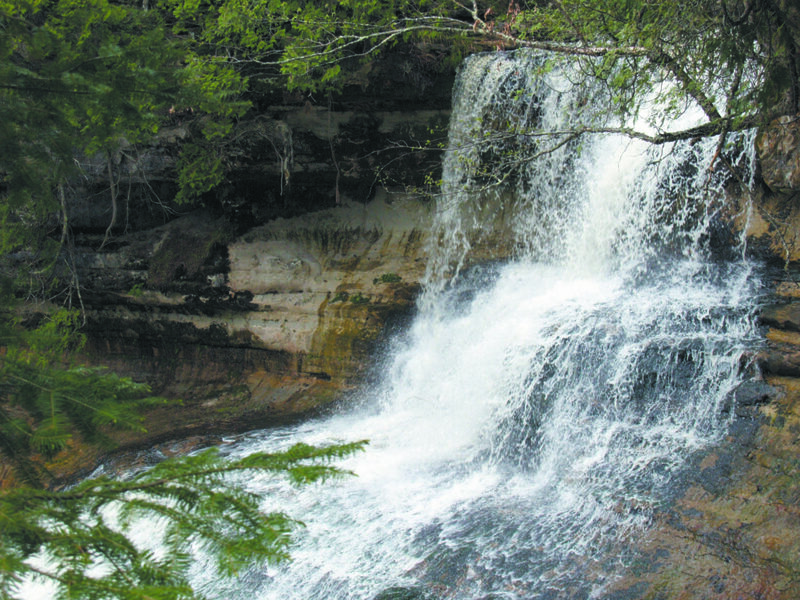 From Whitefish Falls near Trenary, east to AuTrain Falls at Forest Lake, Scott Falls along M-28 at AuTrain, to Horseshoe Falls and several others in and around Munising, to more still farther east, like the Miners and Grand Sable Falls within Pictured Rocks National Lakeshore, Alger County is a tremendous watery destination. 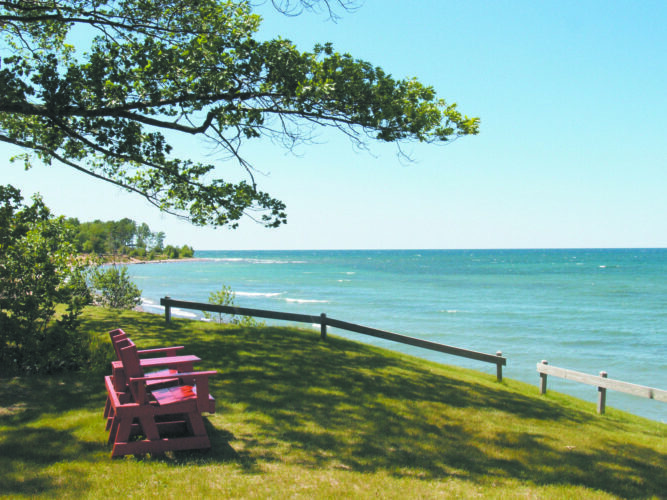 This is without mentioning the numerous lakes in the area, which provide great opportunities for fishing, boating, swimming, kayaking and canoeing, the greatest of which is Lake Superior. 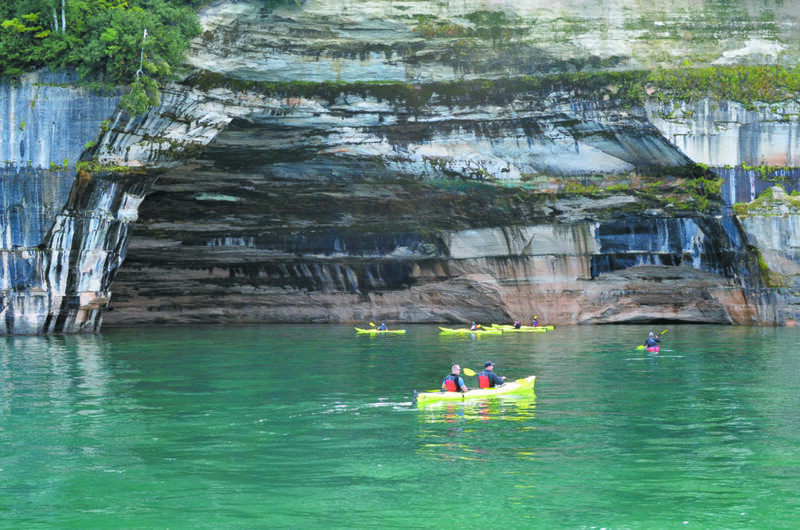 Several kayak and boating concessions operate out of Munising, providing visitors with fantastic close-up views of the fabled Pictured Rocks Cliffs, shipwrecks of the Alger Underwater Preserve and access to the Grand Island National Recreation Area. 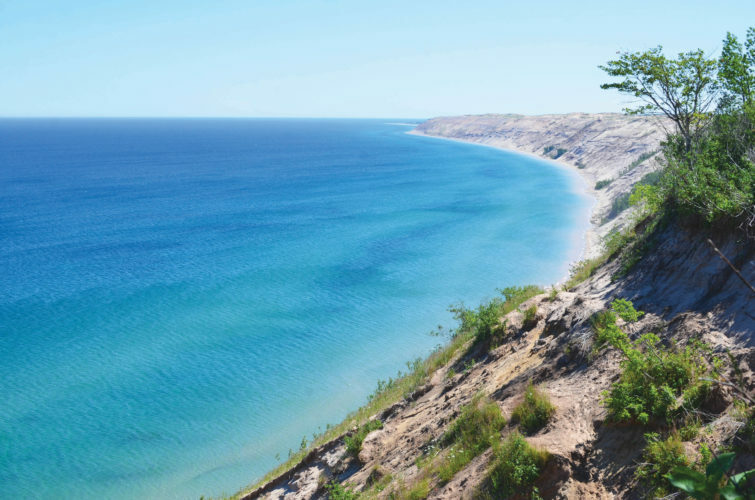 There are plenty of places for camping in the area within the Hiawatha National Forest and at Pictured Rocks, along with several state rustic campgrounds on state-managed land administered by the DNR. These include Kingston Lake, which lies northeast of Munising and just south of the Pictured Rocks. 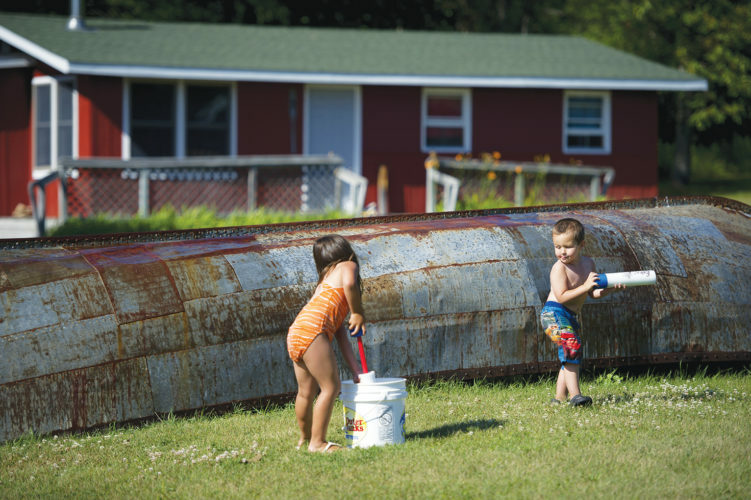 There is the Forest Lake State Rustic Campground on the AuTrain Basin and a handful of these quiet, rustic campgrounds laid out like jewels encrusted in a crown south of Melstrand — each associated with a lake. 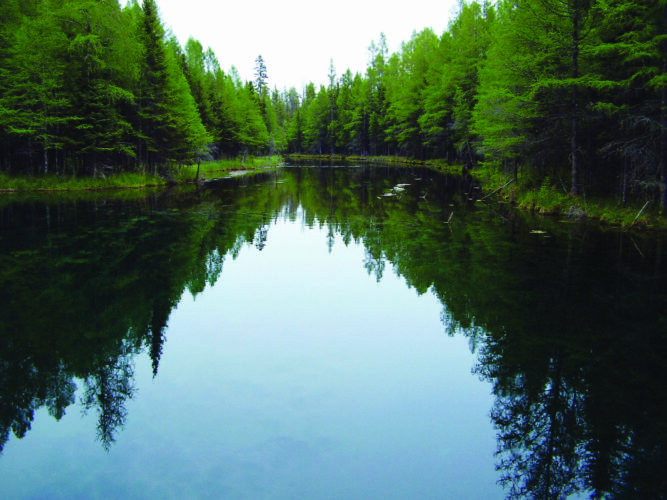 These campgrounds are situated at North and South Gemini Lakes, Canoe Lake, Cusino Lake and Ross Lake. For those looking for lighthouses, there are the Munising Range Lights in Munising and the village of Christmas due west, the North Light and the East Channel Light on Grand Island and the AuSable Lighthouse at the national lakeshore. There are numerous trails crisscrossing areas of the county, including the North Country National Scenic Trail, the Iron Belle Trail, equestrian areas for riding and camping, a songbird trail at AuTrain, off-road vehicle trails, a water trail along Lake Superior and countless hiking and biking trails throughout the county, including on Grand Island. Kewadin Casinos Christmas is located a handful of miles west of Munising. It’s Christmas all year round in this tiny village situated on the Lake Superior shoreline. Historical attractions or landmarks are found throughout the area, ranging from an old iron works at Bay Furnace and former German prisoner of war camps at AuTrain and east of Munising, the Laughing Whitefish Lake Preserve associated with Peter White, who was one of Marquette’s original founders, and wildlife photography pioneer George Shiras III to the Tioga Trail near Deerton and a “Face in the Rock” carved along the coast at AuTrain during the 1820 Lewis Cass expedition to the area. 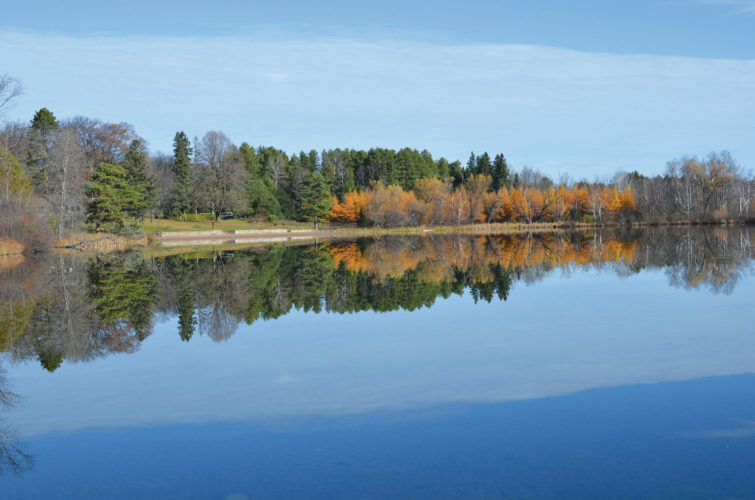 Day trips from Alger County to Marquette, south to Manistique or east to Newberry could include visits to the Marquette State Fish Hatchery, Van Riper, Palms Book, Tahquamenon Falls and Muskallonge Lake State Parks. From quiet beaches for walking and talking, tranquil lakes for fishing, parks for camping and exploring, trails for traveling, dark skies filled with stars to gaze, to roaring waterfalls and staggering cliffs, Alger County is a watery, rocky treasure waiting to be discovered.